Hold on to your butts, this one is a doozy. Earlier today, an image with a screenshot of a trainer standing in front of a boutique in Lumiose City, a location in Pokemon X & Y, started floating around. It seemed to show something kind of incredible: Missingno, that classic glitch from Pokemon Red and Blue. For those not in the know, back in the original Pokemon games there is an infamous glitched Pokemon that players can encounter and catch, provided they do the right things. The glitch looks like a backwards L shape, and despite not being an 'actual' Pokemon, trainers could actually use it—it has a type, stats, and everything. It's called 'Missingno', which is short for 'Missing Number.' Using Missingno, however, could result in a corrupted game. Future Pokemon games have had glitches and even glitched 'Pokemon,' but Missingno hasn't really made a return in any official capacity—I mean, it's not a real Pokemon and all that. While it might be one of the most famous game glitches ever, it's still not something you'd expect to see in any capacity, usable Pokemon or not, in Pokemon X & Y—games that released over a decade after Red and Blue. And yet, here it seems to be. A modern Missingno of sorts has been sighted. We've confirmed that if you visit the front of Boutique Couture in Lumiose City, sometimes, a blue backwards L appears inside the shop. It is not always viewable—your best bet, should you want to see it, is to swing the camera left and right until you see an outline, then slowly try to find the angle at which it's best viewable. While it looks suspiciously like the glitched Pokemon from the original games, it is not, as far as we can tell, an actual Pokemon—you can't interact with it in any way. If you get too close to it, your character simply goes into the boutique (and then, if you're not fashionable enough, you'll get kicked out of said boutique—grr.) The image does seem to change size depending on where you view it from. 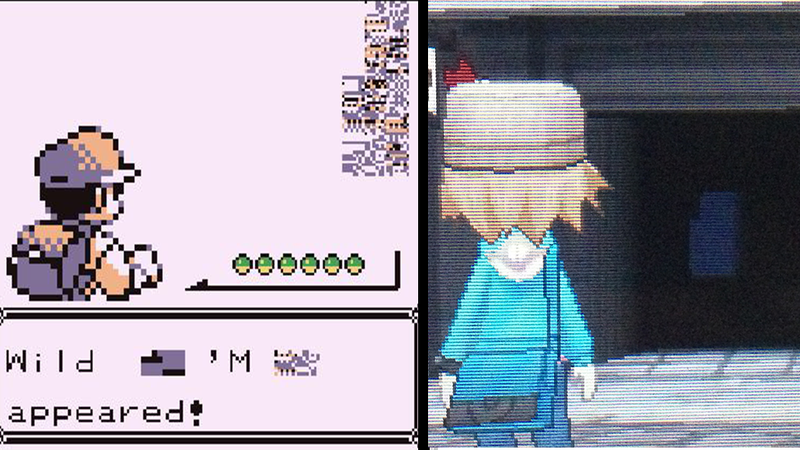 The curious thing about this is that not only does this Missingno-like image still exist (it's been over a decade since the release of the original games), there is, in fact, a glitch to speak of in the same general area. While not related to the Missingno-like image you encounter in the boutique, currently, if you save in the outer ring of Lumiose City (pictured below in blue), your game may become corrupted and your controls may become unresponsive. Nintendo plans to release a fix via eShop "as soon as possible" and for now advises simply to not save in the affected areas. We've contacted Nintendo to ask about the Missingno-like image and whether it is at all connected to the glitch some players are experiencing in Lumiose City (probably not)—but for now, it seems either like it's an uncanny coincidental graphical glitch/artifact, or a really cool easter egg. Who knows what it is! What's clear is that wherever anything resembling Missingno goes, corrupted terrors await. I retract my desire for a Missingno Mega Evolution.